Are you searching for a top locksmith in McAllen in order to get panic bars/push bars installed on your commercial property? You can count on us as we at McAllen Locksmith Pros are ready to help you in this task. We are expert in installing and repairing push bars efficiently by using high-tech tools and equipment. We take immense pride in giving quick and hassle-free panic bars / push bars installation services to our customers. We, at McAllen Locksmith Pros, are one of the leading locksmiths in McAllen, Texas. We have established a benchmark in the sector by giving the best in class services to our esteemed customers. 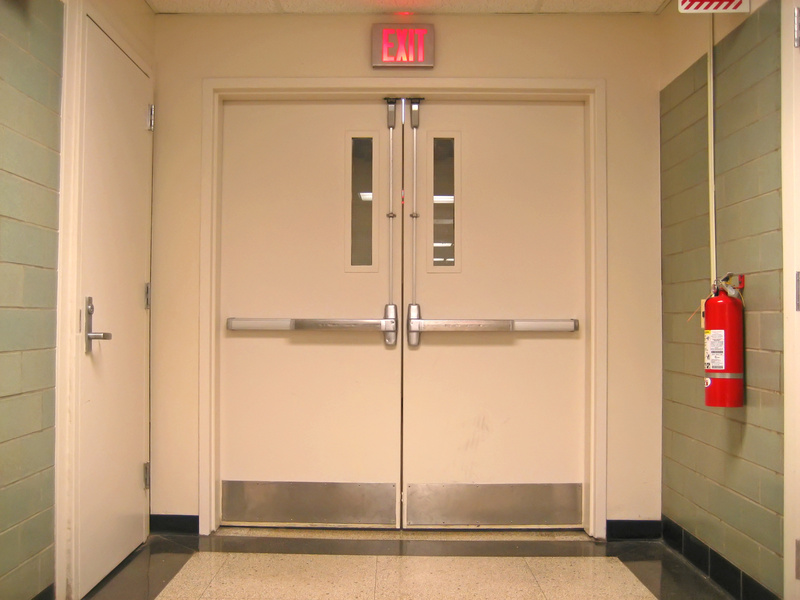 We have years of experience and installing panic bars in one of our expertise. Here are some top reasons that will help you in considering us when you need to install or repair panic bars in your commercial buildings. We have a team of friendly technicians who are expert in dealing this task efficiently. Our technicians are friendly, courteous, and are highly skilled. They leave no stone unturned in meeting the demands of our customers. We are insured, licensed, bonded, and certified locksmiths who have gained a good reputation in the industry as we offer world class locksmith services to our valued customers. We give training to our technicians time to time in order to keep them updated with the latest tools and equipment. Further, they make use of these tools in order to complete the work on time as well as efficiently. Our experts are available every time; whether it is weekend, odd hours, or holidays, they will gladly come at your place. Our emergency locksmiths will show up in less than thirty minutes. You can contact us anytime, and we assure you that our expert technicians will reach your place in minimal time. Safety and security is the foremost concern of every businessman. When it comes to panic bars also known as push bars, they not only ensure the safety of your office building but also of employees and customers. 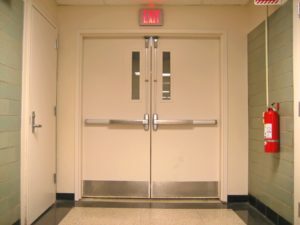 Panic bars / push bars are extremely important for all kinds of commercial property in case of emergencies as people often panic and run for the exits. Panic bars allow a hoard of people to exit through the doors helping in safe evacuations. You can consider us for installing panic bars at your building, and our commercial locksmiths will show up at your place in order to give the best services to you. High level of safety: They provide a high level of safety or security to the crowded spaces. Available in a variety of types: You can choose according to your requirements. Decreases insurance rates: They have potential to lower the cost of annual insurance. Meets legal requirements: It is mandatory to have functional panic bars in the commercial place that holds hoard of people. Affordable option: They are an affordable way to control the traffic so that people can run through outer leading doors in case of emergency. Mortise style: These devices are great for medium to large-sized businesses. They are less prone to tampering. Rim style: This type of devices is perfect for small businesses. They are cost-efficient. Surface/Concealed style: These are best for large businesses where aesthetics plays a major role, and an extra layer of protection is also mandatory. Our technicians are fast and experienced and have competency in installing or repairing panic bars. They are dedicated as well as committed to delivering best in class services to our customers. Our rates are affordable, and in fact, our charges do not include any hidden charges. We do not have any call out fees. Whether you want to install or repair the push bars, you just have to call us, and our expert technicians will reach you within minutes. Consider Us to Install & Repair Panic Bars/Push Bars Today! https://locksmithmcallen.com/commercial/panic-bars-push-bars/ 3.9/5 based upon 20 reviews.